Perhaps this realization isn't so hollow after all. 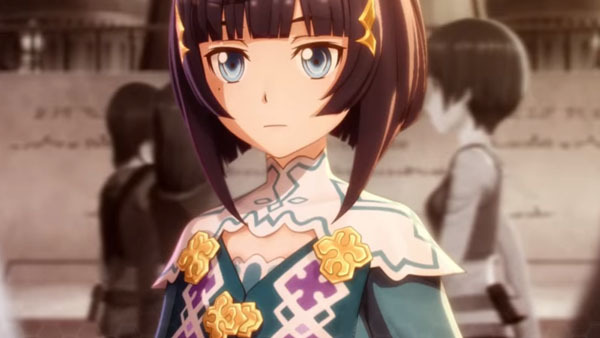 New details are trickling out for Sword Art Online: Hollow Realization, and there's a new story trailer you can check out now about the upcoming title courtesy of Bandai Namco. The English story trailer is the same exact one that premiered in Japan earlier this week, and it shows off quite a bit of what you'll be able to expect out of the game. The NPC Premiere makes an appearance along with familiar heroes Kirito and Asuna, and the story itself begins (ha!) in the Town of Beginnings, which will then branch off into different landscapes like the Valley Map and other aquatic environments with special enemies and other ne'er-do-wells to fight off. There's been quite a bit of gameplay shown off since the game was announced and confirmed to be coming westward, but this is the first official story trailer to make its way over. Get ready for the game to release this fall in North America and Europe for both PlayStation 4 and PS Vita. You read that right. Finally something else to add to your Vita library. It may as well be an anime machine at this point, but at least there's something releasing for it, right?